For the first time seven years after his initial fieldwork, the anthropologist returned to the people he had once worked with. “We heard that you had died in a terrible automobile accident” (p. 183). The greeting was a complaint tinged with light indignation, accusing the anthropologist of heartless oblivion. Indeed, he hadn’t written. And not only that: the anthropologist, now firmly anchored in academia, was also a messenger of disappointment. 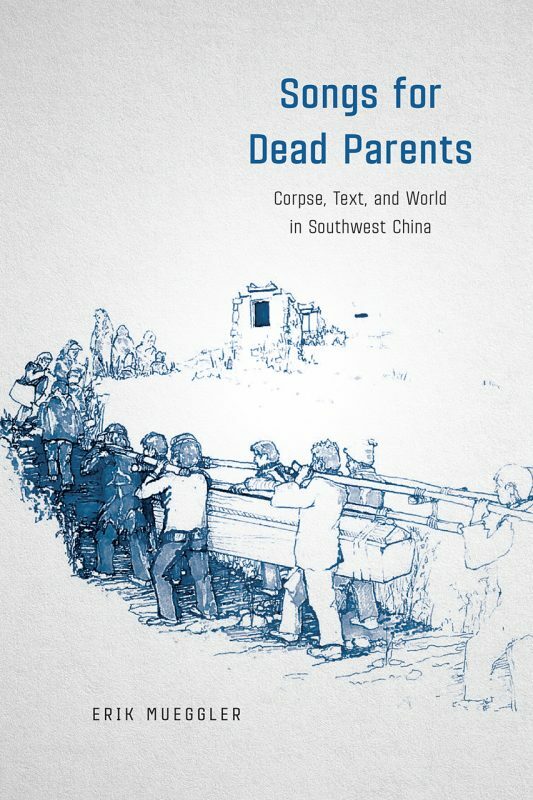 Instead of his first book being on the great chants of death and mourning, it had been on the local headmanship system (The Age of Wild Ghosts, 2001) – an arcane topic that might have interested a few academics but was of little meaning to the local Lolopo in Yunnan. Apima, his major informant and the grandmother who had graciously taken him in, was not impressed. Once again she started to speak to him elaborately about every step of the funeral rituals. “I suppose you lost your notebooks from years ago.” She suggested that he write it all down so “you will finally have your book” (pp. 183-4). The anthropologist asked what had happened to the person who had first sung the chants to him, now rarely performed in their full poetic glory. It turned out that he had died only two years after the anthropologist left to finish his PhD. “People say you paid him a lot of money for that chant and took it away. Some people say that perhaps his tutelary spirit didn’t like that. (…) Too bad you didn’t write that book” (p. 184). Silence ensued; the anthropologist felt shocked. His work might have indirectly caused the death of the only Lolopo in possession of the epic songs; and he had allowed that death to come to nothing. Songs for Dead Parents is therefore the eventual fulfilment of a broken promise. It is an excellent and exquisitely complex ethnography about the songs and ritual acts that the Lolopo people perform, sometimes with dignified solemnity, other times with impressive vivacity, in death rituals dedicated to their beloved deceased. Fieldwork was conducted in Yunnan, specifically in the region now known as Zhizuo 直苴 in Chinese, or Juzo (“little valley”) in the local language. The methodology is charmingly old-fashioned, the theory cautiously up-to-date. Mueggler draws on 20 years of work in this Lolopo community, delving deep into the intricacies of rituals and songs; his engagement with recent anthropological theories, especially the cluster now often associated with the so-called “ontological turn,” is brief and incisive (and largely confined to footnotes and a few short paragraphs – for this the reader should feel grateful). The prose is fluent though at times slightly mystifying, the text performing as much as describing the rituals that form the centrepiece of the book. As such the book would be suitable for advanced undergraduate students and postgraduate students interested in ritual studies, the anthropology of religion, and China studies. Divided into two parts, Songs of Dead Parents is ultimately about the social making and collective deliverance of dead bodies. Contrary to common sense, the book argues that it is dead rather than living bodies that are “actual” – actual in the sense of manifesting and embodying what used to lay hidden, virtual, and invisible in living bodies. Social relations – relations that nurture, love, and sustain the living bodies – are revealed only at the point of death; and dead bodies, assembled soul and flesh, at once intensive and extensive, are dynamic images of the social world in which they are embedded. These bodies are a great deal more than corpses narrowly defined as dead human bodies; they are the products of concatenations of materialities (rice, goat, alcohol, stones, twigs, water, ropes, leaves, bamboo mats, and so on) organised along clearly delineated lines of kinship. Bodies enmesh and give rise to dignified death as well as animated life; in bidding the dead farewell the social is regenerated. Mueggler is interested as much in how the dead can be made to live as he is in how the living make life through the dead. The first part, composed of four chapters, deals largely with the rituals the Lolopo still perform in the reform era. The first chapter is a slight but necessary digression. The Lolopo did not bury their dead prior to the nineteenth century; cremation used to be the norm. Expansion of imperial power and the influx of Han migration in the past two centuries led to a major shift among the Lolopo from cremation to burial. By examining a variety of extant tombstones, Chapter One highlights this historical shift as the main condition for all the rituals and songs to be studied in this ethnography. Chapters Two, Three, and Four move on to describe in great detail three rituals still surviving – or revived – among the Lolopo: Emerging from the House, Emerging from the Courtyard, and Dawn-to-Dusk Sacrifice. The order of the chapters follows closely the sequence of ritual performances after a death, and each ritual expands upon the world opened up by the one preceding it. As such the form of the ethnography almost mirrors its content: words are wrapped around a core as social relations and material trappings are wrapped around a corpse. While the first part, in describing rituals of exchange and sacrifice, lays stress mainly on how death generates and reinvigorates social relations among the living, the second part is committed to treating the dead properly onto themselves. It does so by reading closely the surviving songs (58 out of an original 72) from two chants dedicated to the now all-but-disappeared rituals of Tenth-Month Sacrifice and Sleeping in the Forest. After foregrounding certain ethical and methodological issues (the anecdote at the beginning of this review is drawn therefrom), Mueggler launches into an admirably meticulous reading of the songs. Chapter Six examines songs of genesis, which narrate the creation of the world and expand the relations involved in death to include broader geographies and cosmologies; Chapter Seven describes how songs bind the dead to the living and subject the former to imperial rules and obligatory exchanges; and Chapter Eight reveals the poetic construction of the extensive dead body, assembled from a concatenation of other material bodies and fashioned into ancestral effigies and soul-trapping statues. The songs do not so much depict the world of the dead as “construct a world for dead others and install dead bodies in that world” (p. 163, emphasis original). While Mueggler has not overtly engaged with that tradition of structuralism rooted in structural linguistics (Saussure, Lévi-Strauss, and Derrida, among others), his reading of the great chants now and again shows signs of its subterraneous impact on his interpretive inclinations (e.g., pp. 199, 202, and 205-6). These are the places where his reading is most evocative and beautiful, but for that very reason also slightly impenetrable and mystifying. His deep identification with the Lolopo at times runs the risk of drowning out hints of entrenched discrimination among the Lolopo, be it against impoverished rural Han or other minorities considered less than civilised. Such bias, even or especially coming from those who have long suffered the same, can be deemed “excellent fun” (p. 212) only by some. This is not to say that anthropologists should not have a sense of humour – such, after all, is in short supply in this dry profession – only that one can be humorous and critical of structures of power at one and the same time. The Lolopo have been persistent in their resistance to imperial rule and Han assimilation, but power seldom works in binary terms. In writing a rich ethnography that pays homage to the venerable tradition of classical anthropology, has the anthropologist unwittingly passed over more intricate workings of power? Guangtian Ha is Assistant Professor of Religion, Haverford College, PA, USA (gha@haverford.edu).